November is a great month to reflect on the many things I am thankful for. Women’s empowerment through creativity, education, economics, health, law enforcement, politics, reproductive health, safety, and technology is one thing I am extremely grateful for this year (every year). 2014 marks the 20th anniversary of the Rwandan genocide. 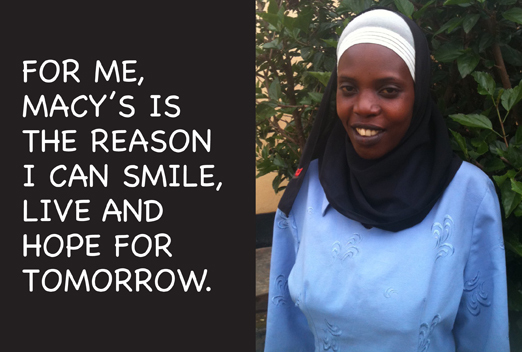 In roughly 100 days, close to one million Rwandese women, men, and children were murdered. In the aftermath, women became the largest population group. In an effort to move forward, they turned to their past, reclaimed their unique heritage of weaving, and organized groups of weavers. I remember watching the news reports on television in 1994 and thinking, “how could this happen?” When I traveled to the United Nations Fourth World Conference on Women that was held in Beijing, China in 1995, I had many discussions with African women from countries bordering Rwanda. Their insights, stories, and connections to Rwandan women allowed me to have a deeper understanding of what happened. This year, I am celebrating the creative and economic power of Rwandese women who participate in Macy’s Rwanda Path to Peace Project which was established to provide trade, not aid in 2005. Through the 10-year-old Project, Rwandese women weavers have created baskets that generate income for their families. They also receive the opportunity to actively shape their future as entrepreneurs and the future of their families, communities, and countries. 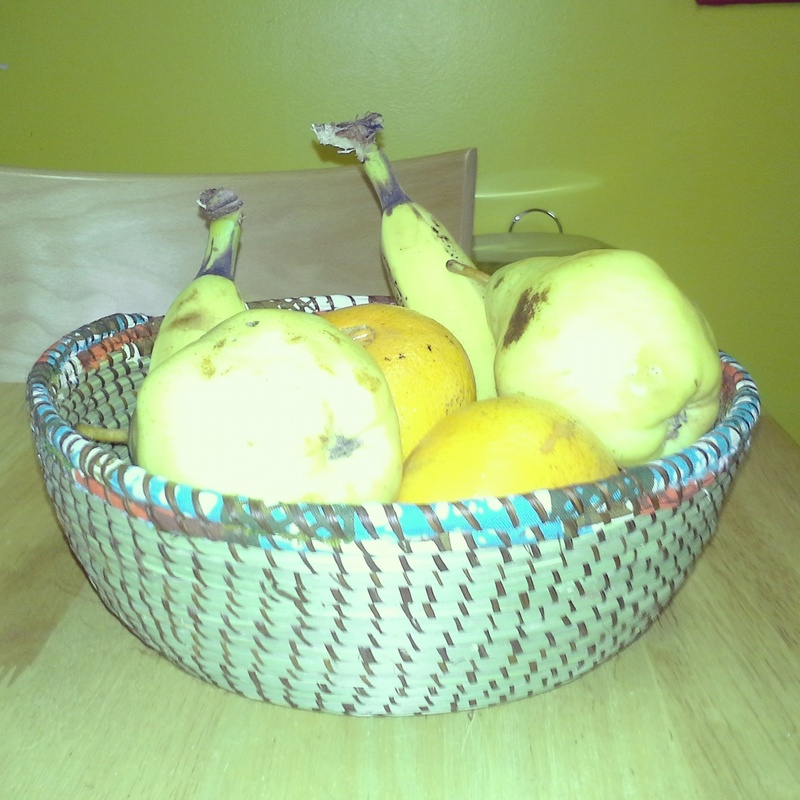 Check out my Path to Peace basket that Rwandese women made using sweetgrass and raffia. The design incorporates traditional Rwandan weaving techniques. 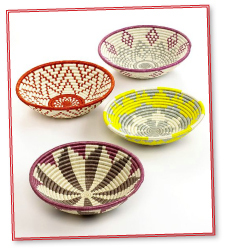 One way you can support Rwandese women is by purchasing a basket from Macy’s Path to Peace Project collection. Give it as a Thanksgiving gratitude gift or December holiday gift. Click here for more information. Disclaimer: I am a member of the Everywhere Society and Everywhere has provided me with compensation for this post. However, all thoughts and opinions expressed herein are my own. The Thanksgiving and Christmas holiday seasons are fast approaching. They are two of my favorite holidays. What are your favorite holidays? How do you celebrate them? I celebrate Thanksgiving with a family dinner hosted by my parents. My brothers, sisters, cousins, and family friends attend the dinner. Some folks bring dishes. Others help set up and clean dishes. It’s a team effort! During the Christmas season, I invite friends and family to visit the National Christmas Tree and go on walking tours to see festive decorations on apartment buildings, businesses, and houses in my favorite neighborhoods: U Street, 16th Street, Adams Morgan, Dupont Circle, Logan Circle, and Columbia Heights. 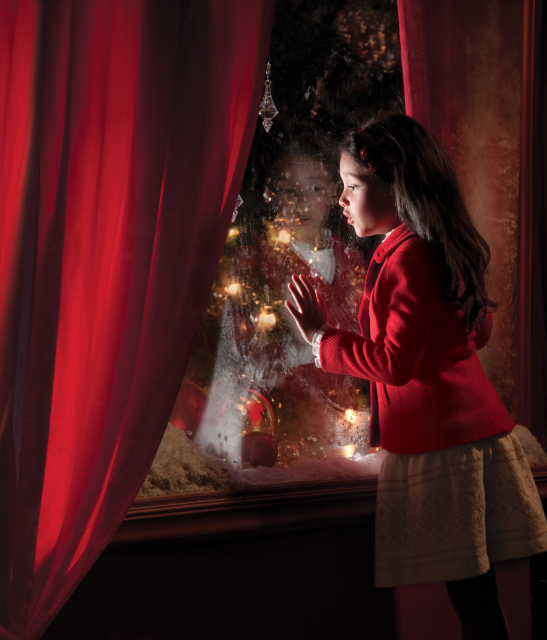 This year, I am starting a new tradition by going to see the holiday window displays at Macy’s Metro Center on Saturday, November 22 (outside on G Street, NW) at 2:00 p.m. American Ballet Theatre’s Misty Copeland and Fox 5 news anchor Allison Seymour will co-host the event with a count down to the grand reveal of the window displays with the Ballou High School Marching Band and Santa Claus himself. The event will include performances featuring Bystorm/RCA recording artist Mali Music and The Voice contestant Ddendyl, The Washington Performing Arts Society’s Children of the Gospel Choir and excerpts from The Nutcracker by The Washington Ballet on the Main Stage. Afterwards, you can head inside of Macy’s for an afternoon of excitement and holiday joy – there’s something for everyone!